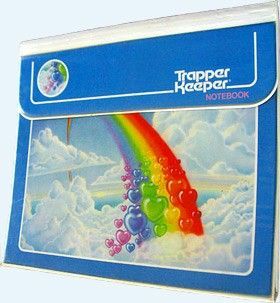 I got my first Trapper Keeper in fourth grade. I was obsessed with it. It had a rainbow on the cover and purple trim. I loved the sound of the Velcro as I opened what appeared to be a three-ring binder, but it was so much more than that. As I opened it and lay it flat, I could fully view my spiral notebooks of varying sizes and colors, pocket folders for each subject, a case for pens, pencils and erasers. This is gonna be the year, I thought. With this Trapper Keeper, I would become the perfect student. No more lost homework. No more messy desk. I was going to own fourth grade. Within two weeks I was shoving my papers in willy-nilly and I had lost one of the spiral notebooks. By the end of the year, there were so many things stuffed in my Trapper Keeper that I couldn’t close the flap (the Velcro closure was long gone) and the spine was starting to rip. Fourth grade had won. Trello: If you are a visual learner, Trello will be your best friend. A project management tool that “…enables you to organize your project in a fun, flexible and rewarding way”, Trello uses boards, cards and lists that can be organized based on whatever system you are using—even the one in your own head that only you understand (though I know a lot of GTD-ers who love Trello). It’s a collaborative tool and perfect for teams, but I use it to manage my day-to-day work using Kanban’s To Do/Doing/Done PS—if you love the satisfaction of checking an item off of a list, dragging a Trello card into your “Done” column is even better. Trello’s subscription levels range from free to $20.83 per user per month. Evernote: I’m a list maker from way back. My problem was I never had my lists or my notes when I needed them. I am nuts about Evernote. 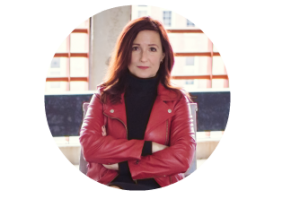 More than just a to-do list tool, Evernote “…helps you capture ideas, projects and lists so nothing falls through the cracks”. I can save everything to Evernote—notes, pictures, websites, emails and even audio files—so I pretty much do. You’ll love it if you are an information hoarder like myself. The best part? It syncs across devices and integrates with other tools I use every day. A basic Evernote plan is free; Premium and Business versions are $7.99 and $14.99 per user per month respectively. Google tools: I don’t really have to go deep on Google, do I? Docs, Sheets, Slides, Drive, Mail, Voice, Calendar, etc.–they all talk to each other and there are not many other tech tools they don’t integrate with. If some cataclysmic Google event were to occur, my life would come to a grinding halt. Most Google products have a free version; their G-suite for business ranges from $5.00 to $25.00 per month per user. Zapier: I’m always looking for ways to automate my life. That’s the name of Zapier’s game. Zapier lets you take your favorite tech tools and create a “zap”, or a workflow, that lets them work together behind the scenes based on triggers and actions that you set. For example, using the tools I’ve just talked about, I can create a zap that creates new Trello cards from my Evernote notes, and then adds them to my Google calendar. Yay robots! There is a free version of Zapier and their other plans go up to $156.25 per month (billed monthly). Much like my Trapper Keeper, these tools are only as effective as the people who use them. But I’d like to think that with these tools in my pocket, I could totally conquer fourth grade today. Fellow GenX-ers! What are the tech tools you can’t live without? Reply in the comments below.